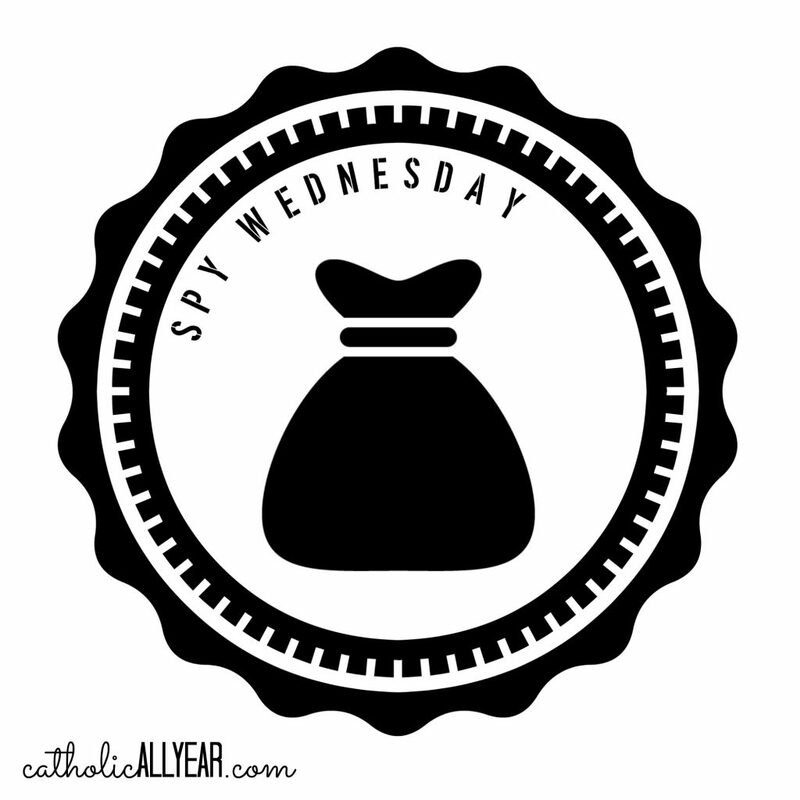 “Spy” Wednesday ️‍♂️ is the name traditionally given to the Wednesday of Holy Week. This is the day Judas betrayed Jesus, telling the high priest when Jesus would be in a place where he could be more conveniently arrested, in exchange for thirty pieces of silver. It’s called Spy Wednesday, because of Judas’ sneakiness. Betrayal and suicide are heavy topics for anyone, and especially so for kids. But we’ve had great success introducing the events of the day and even those big related topics, with a fun little activity that’s appropriate for families and classes. Get the Catholic All April printable booklet, with the reading featured, plus prayers and devotions for Holy Week, the beginning of Eastertide, and the whole month of April here, or find it on Amazon as a paperback here. 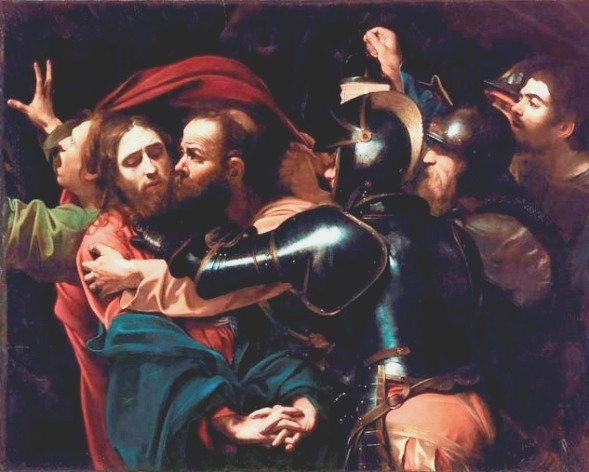 That connection, between Judas and Peter, that I talk about in the video (and talk about in more detail in the book) feels so profound to me, and gives me so much hope, as strange as that might sound. No matter how great our sins have been or how many our small sins continue to be, we ALWAYS have recourse to humble repentance. We can choose to be Peter and not Judas in the face of our failures. And God will still have great plans for us. How could someone who was Jesus’ friend and companion, who knew first hand Jesus’ goodness and power, betray him? What can have happened to his soul that he would now betray the Lord for thirty pieces of silver? For it to be explicable, there must have been a long story behind the betrayal that night. For some time Judas would have been distant from Christ even though he was still in his company. On the surface he would have remained normal, but he must have changed inside and become distant. The split with the Master, the loss of his faith and his vocation must have taken place little by little, as he yielded in more and more important things. . . . In contrast, perseverance is doing the small everyday things with faith; it is supported by the humility of beginning again when we go astray through weakness. This just makes it so real for me. It gives a window into not only how Judas could have betrayed Jesus then, but how beloved family members, friends, priests can betray Jesus now. Speaking of fun . . . In it, I address our strategies for Good Friday with little ones, including fasting, avoiding our usual occupations, and keeping ourselves quiet and occupied. These coloring pages are a big part my strategy for that last bit. The day before that post published, I saw a discussion in a Catholic FB group I’m in about whether it’s appropriate for a mom to let her kids participate in their secular preschool Easter egg hunt on Good Friday. I’ve addressed that issue for Holy Saturday in a post already. 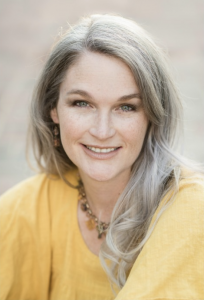 And I was reluctant to jump into the discussion there, because so many had counseled her to not worry about it, and not disappoint her kids, and it wasn’t a big deal, and that seemed like the answer she wanted. Of course some had an opposing viewpoint, but most were nonplussed by the idea. I didn’t want to pipe in with a giant footprint EXPERT OPINION and crush her dreams, but I keep thinking about it since I reread that column for Endow. I figure since you guys came onto my blog of your own free will, I’ll lay some unpopular opinions on you here. If it were my family, *I* would decline to participate. This is a GOLDEN opportunity to say with actions what I would have trouble getting across in a thousand speeches: that our faith is important. It’s something we live. It’s something for which we are willing to make sacrifices. Good Friday is the day Jesus suffered and died for you, for me, for your preschoolers and my preschoolers. How better to make that real for our kids than to sacrifice on that day, and to explain why? I try to keep the mindset on that Friday that one would have on the day a loved one was suffering and facing death, perhaps having a risky surgery, or bedridden in the end stages of a serious illness. Yes, I’d have breakfast, but it wouldn’t be something I’d necessarily relish. I’d do the most necessary chores, but what I could forego I would. I would be at my loved one’s side if possible. If I couldn’t be, I would look at a photo of him, or call him to talk. No matter what else I was doing during the day, he and his plight would be on my mind. I wouldn’t participate in unnecessary recreational activities. I wouldn’t have the heart to do it. My kids would certainly understand why we would skip school and activities that day. Even young children can understand this at their own level, and know that Jesus is suffering on this day, so we keep to our family traditions. As they grow older, it will make the triduum and the stories they hear and the images they see more understandable, more real. I don’t say this to shame or coerce anyone. This is not canon law, and you get to make the choices that work for your circumstances. I might well have attended a preschool Easter egg hunt on Good Friday when my oldest two were little, before I had really considered all this. But I do want to share from my personal experience with my own family, that this type of real, memorable family culture choice, thoroughly and lovingly explained, has made our faith a deeply ingrained part of our real lives. It really is an OPPORTUNITY, if you look at it like that. The Stations of the Cross printable booklet, perfect for Good Friday, that we’ll be using with our preschoolers through teenagers, is available here. The Catholic All April booklet features the l o n g Bible reading of the passion (see the Good Friday section), so you and your family can peruse it at your leisure, if by some happenstance you are busy during Mass trying to avoid palm sword fights and/or tending to poked out eyes. It’s also got illustrated step-by-step instructions for how to make a palm cross when you get home. 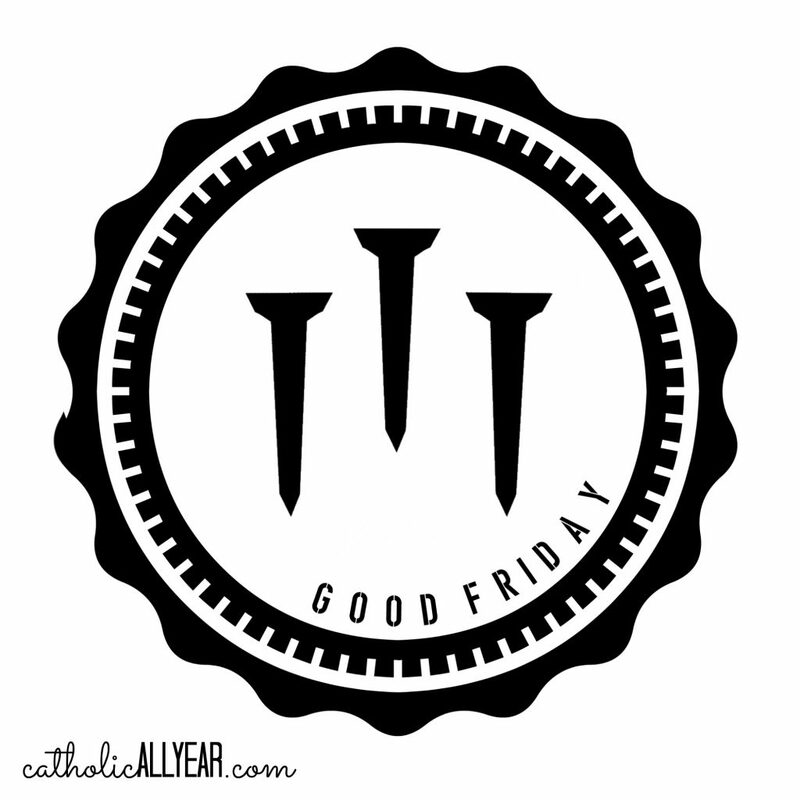 I will direct you, for the rest of the days, to the many old posts I have on the subject of Holy Week! And, finally, in case you missed the announcement yesterday, the Catholic All Year shop now offers posters and framed prints! Use the code GRANDOPENING for 10% off all printed products through Monday April 15th. I have to completely agree with your sentiments regarding attending an Easter egg hunt on Good Friday. You put it so well and charitably. Have a blessed Holy Week. I’ll have to try the Spy Wednesday activity. What a great idea to illustrate the differences between the betrayals Peter and Judas. This is all great. I was on the fence about a park Stations of the Cross, and now I’m thinking not. My kids can’t handle stuff like that without so much silliness, so we’ll stick to walking to church and doing them like usual. I love your book. It’s full of great history but reads much better than any history book from school . Is there symbolism in making pretzels during lent or for Easter? I thought I might have read that somewhere. Thank you 🙂 Yes, pretzels are traditional for Lent. They can be made without eggs or dairy, which were historically given up for Lent, and the twisted shape is meant to look like hands in prayer. I’m right there with you! While secular and some Protestant groups treat this whole week/month as “Easter” and then come Monday, it’s “over”, as Catholics we take this week of final contemplation and peace seriously (or we should). I’ve never let my kids do egg hunts on the Friday or Sat before Easter Sunday and my kids know exactly why. They’re 5 and 8 but they’ve been hearing around it since they were old enough to hear. Haha! Just as Advent has to be protected, so does Lent and especially Holy Week. I would have said something in that group. So many Catholics are leading each other astray with bad catechesis. When you “know” the answer, it’s important to share! Btw, I’m coming over from your interview with Holy Hot Mess but I’m part of a Catholic women’s YT community so I’ve heard about your book for a while. It’s in my Amazon cart! God bless and happy Holy Week! I came to check on tips for doing “Spy Wednesday” with my six year old, and found myself nodding in agreement with your comments on Good Friday. This Good Friday we are, indeed, tending to a sick loved one: my son and and I are taking my husband to get his chemo pump removed, as we do every two weeks after his chemo infusions. The Lord has arranged this Good Friday for us, I’m sure, so that we can offer up our sufferings on His day of great suffering. No egg hunts here. Just love and tenderness for the One who loved us first. Thank you for the great posts…and Jim is always in our prayers, too! Thank you. Prayers for you, too.